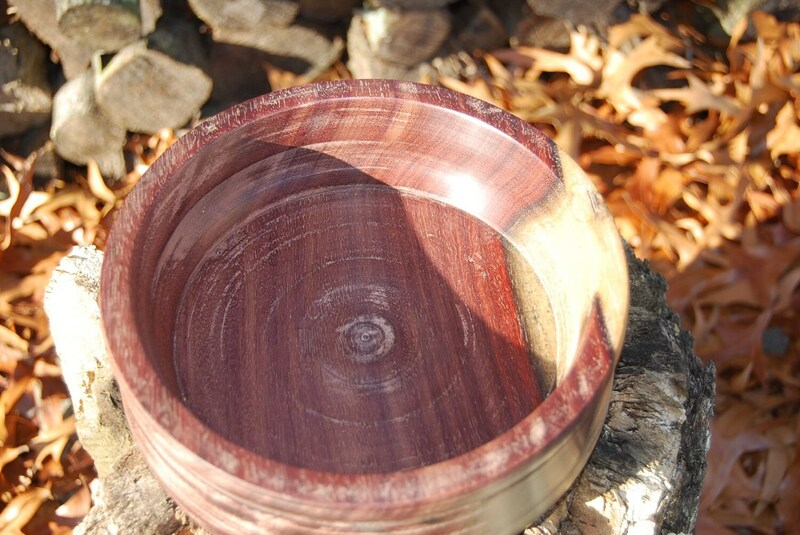 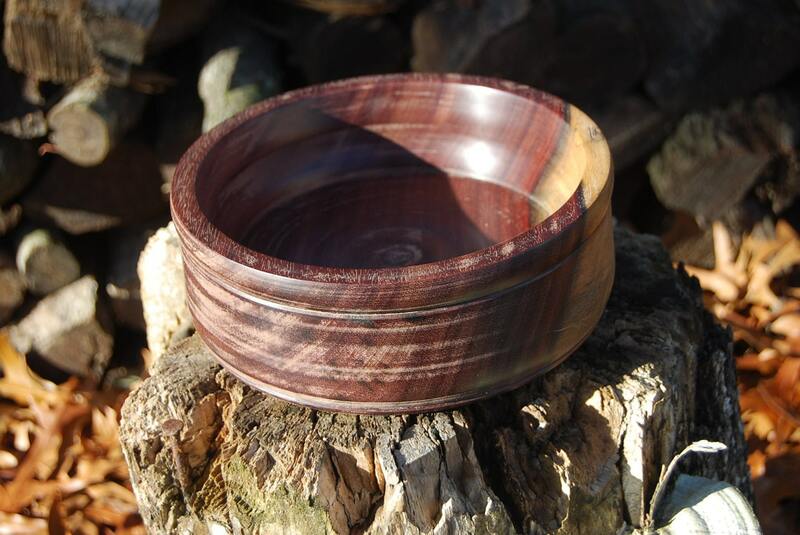 This lovely bowl is made from the Katalox wood. 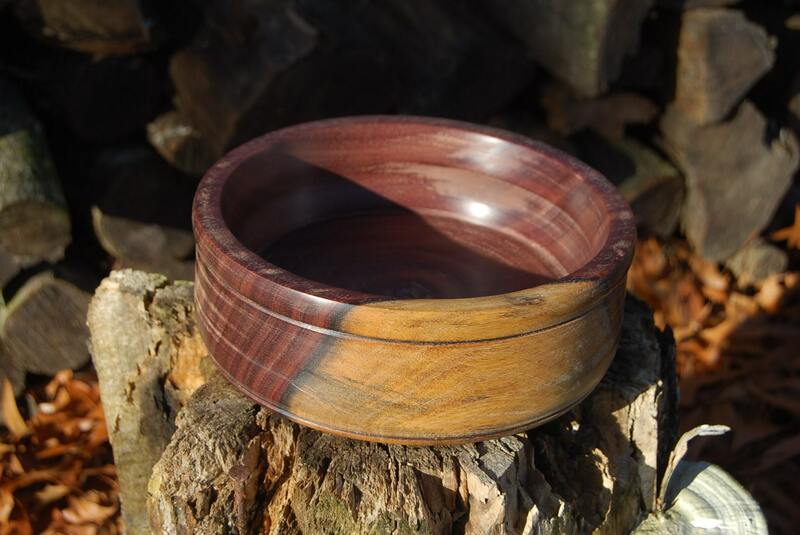 This exotic wood is grown in Central and South America. 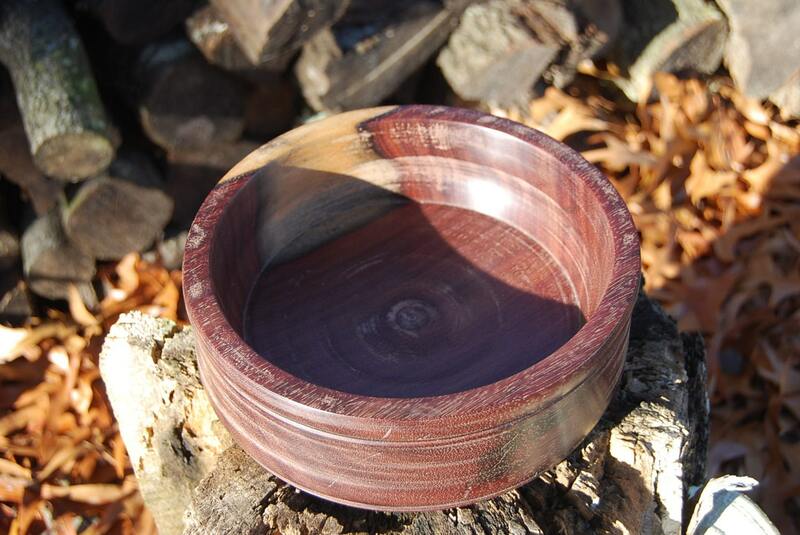 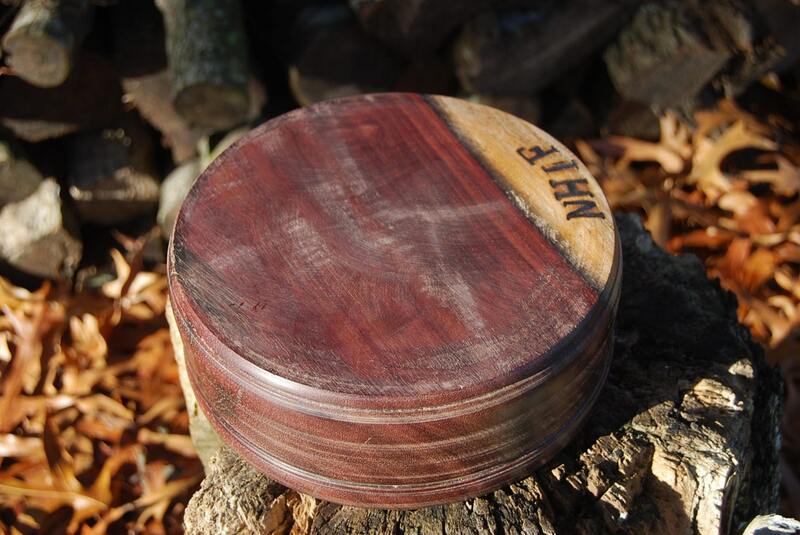 This bowl shows mostly dark heartwood with a small section of sapwood showing on one side.